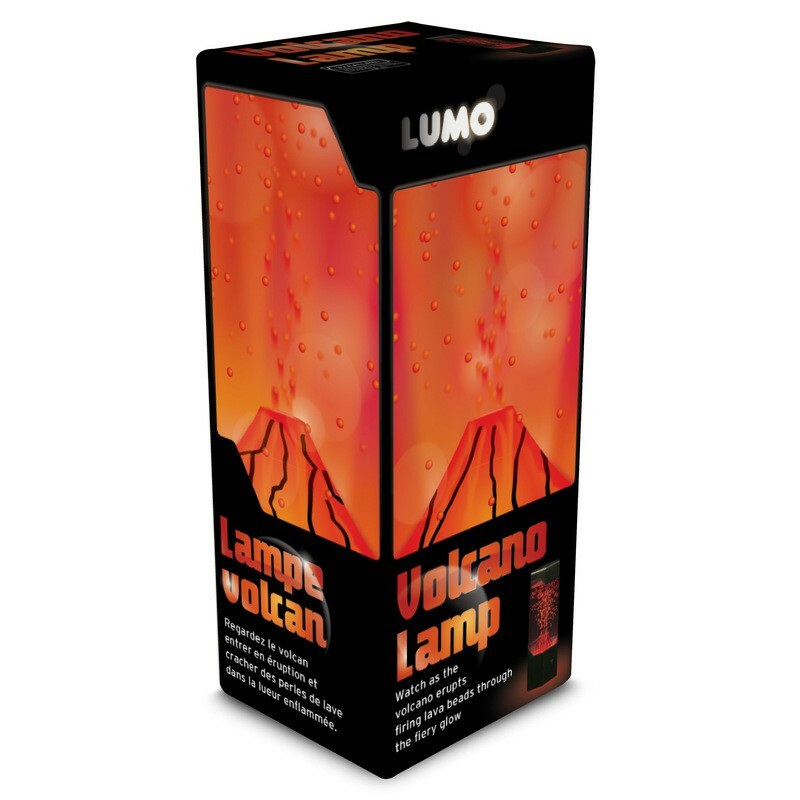 Glowing lamp that features an erupting volcano. Fill the tank with water, then turn on the lamp to make the volcano glow red and launch dozens of tiny red balls to the top of the enclosure before they slowly rain down. 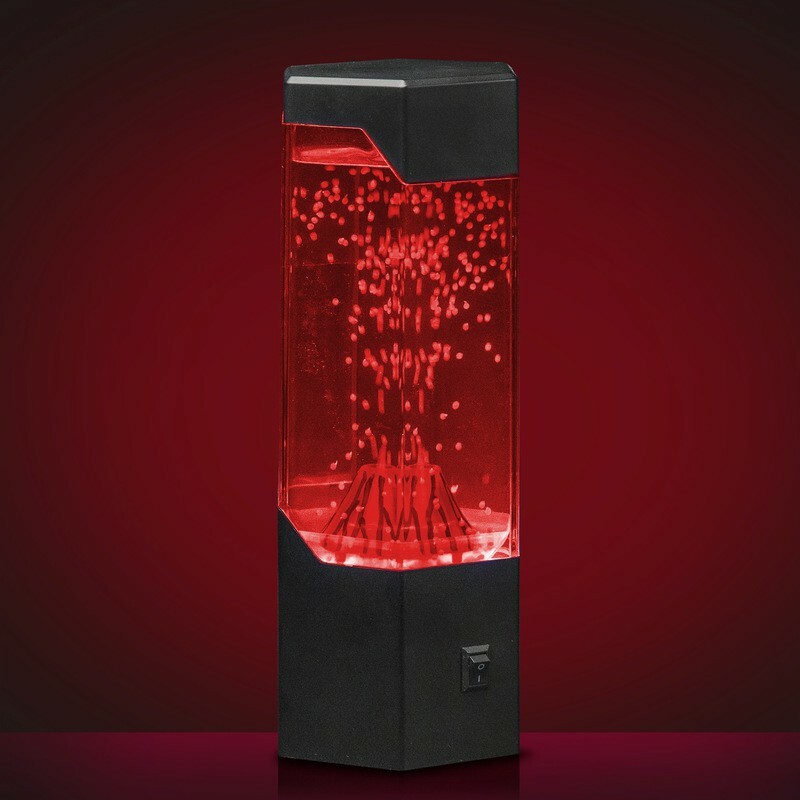 Once the balls reach the bottom they re-enter the volcano and the erupting cycle starts again.